Fox Chase is home to some of the nation’s top brain tumor specialists and support staff – a multidisciplinary team of professionals who work together to diagnose and treat brain and spinal tumors. This team includes physicians and oncology-certified nurses with specialty experience in brain tumors and meets regularly for tumor boards where patient cases and potential treatment options are reviewed. Brain tumor patients at Fox Chase benefit from the center’s robust research program, with cutting-edge clinical trials offered in surgery, chemotherapy and radiation therapy. 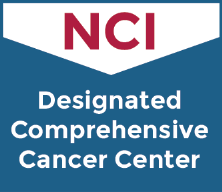 Fox Chase physicians and researchers are influential members of the National Cancer Institute’s NRG Oncology. Fox Chase offers a number of clinical trials and novel treatments that patients with a brain tumor may not otherwise have access to elsewhere. Surgical Oncology – Our surgeons are highly skilled in the latest surgical approaches for the treatment of cancer. In addition, there are additional aspects of our program to provide complete care for patients with brain tumors.